‘Here, the very next chapter after the fall of Adam and Eve, we see SIN TAKING HOLD OF HUMANITY. Instead of behaving like a spiritual son, Cain behaves like a spiritual orphan. He is angry, sad, suspicious, jealous, and consigned to a life of striving, loneliness, and fear. 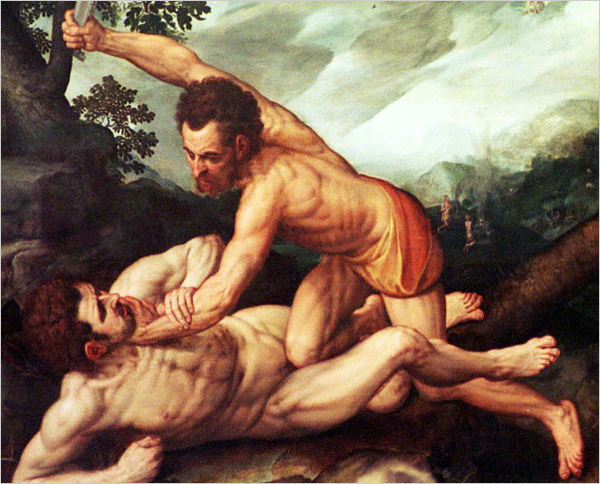 Cain is a tragic example of the consequences of the fall. Humans were created to be SONS and DAUGHTERS but are now living like orphans and slaves.’ — Mark Stibbe. Cain and Abel were the two sons of Adam and Eve after they left Eden. Younger brother Abel was more devoted to the Lord than Cain in offerings and found favour with God. Therefore Cain grew angry and downcast, then he gave in to sin and murdered his brother Abel. Interestingly, this afternoon, My friend told me how much I have changed since 2010. She said I was radiating with true happiness, and everyone could see the transformation. I can’t agree with her more and knowing in my heart what has triggered this transformation in my life. I came from a broken family, and left home pursuing my study and career since I was 19 years old. Unlike some other international students, I didn’t feel homesick, however, I was just like Cain (Easily angry, sad, suspicious, jealous, and consigned to a life of striving, loneliness, and fear.) I didn’t know I was like an spiritual orphan, I thought I was just like anyone else until I have moved into a REAL HOME at the end of 2009. Anne and Alan who provided me a physical shelter after I have moved 4 times in 3 months in 2009. Moreover, they have also given me a true spiritual HOME! They have loved me as a daughter with God’s love, they have showed me how wonderful and amazing good parent can be. They encouraged and blessed me truly by setting up a Godly example. I felt like HOME for the first time in the 26 years of my life, physically and spiritually! They probably didn’t realise how much they have meant to me spiritually, and I am forever grateful for what they have done for me in the short 11 months when I was living with them. Therefore, I totally understand what has brought this transformation in my life — THE FATHER’S LOVE. Also, I know that there are still plenty of people in the world who are orphans, just like I was. This has urged me to write this blog more eagerly about the father’s love for us!